Wutz, Wawa and Urmel are here! 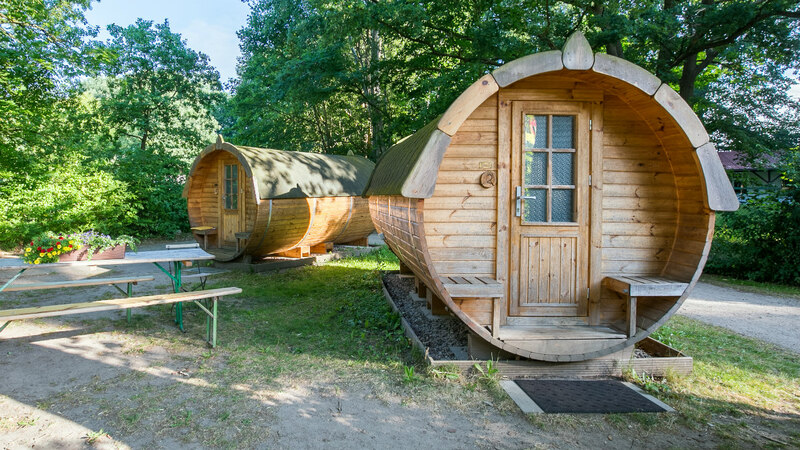 At the Uhlenköper camp, it is also possible to spend the night in a slumber barrel like the elegant pig lady Wutz from “Urmel from the Ice Age”. Experience an incomparable sleep experience in these tons now approved for humans. Öff öff. 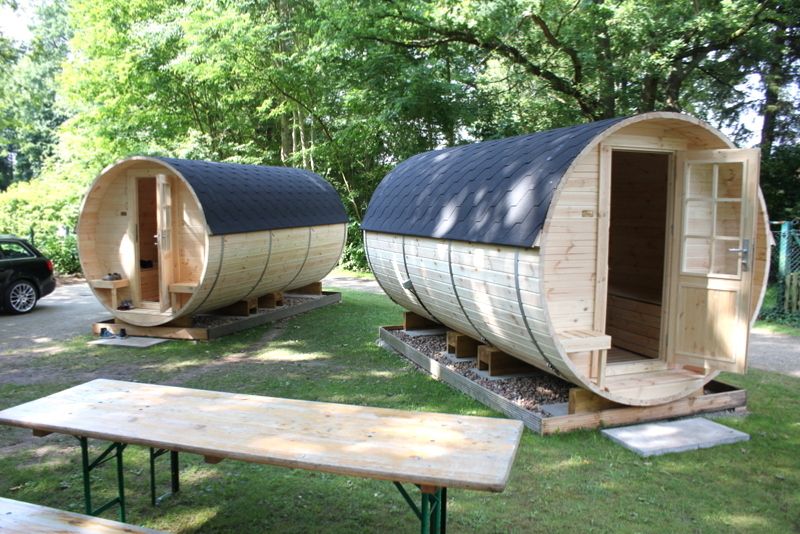 At the Uhlenköper camp, it is also possible to spend the night in a slumber barrel like the elegant pig lady Wutz from “Urmel from the Ice Age”. Experience an incamoparable sleep experience in these tons now approved for humans. Öff öff. You don’t feel like setting up a tent? 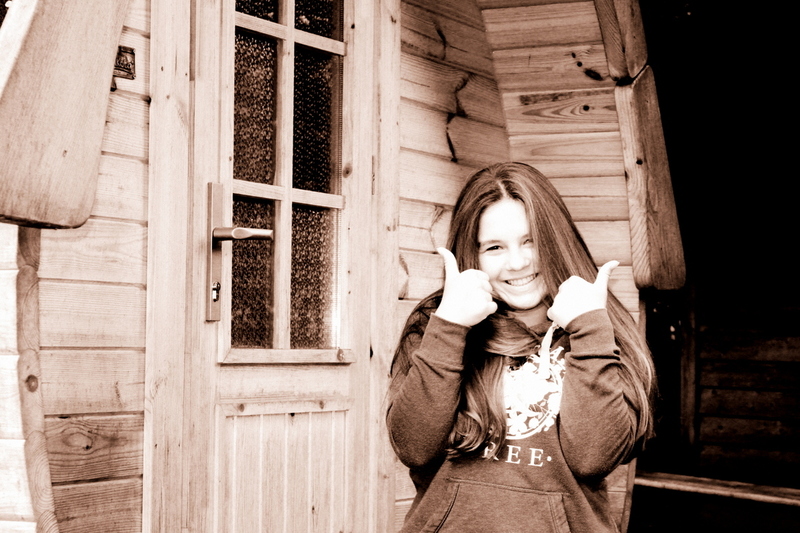 You want to experience something special? You enjoy the woody scent when you wake up? Then the innovative slumber barrels are just the right choice for you. 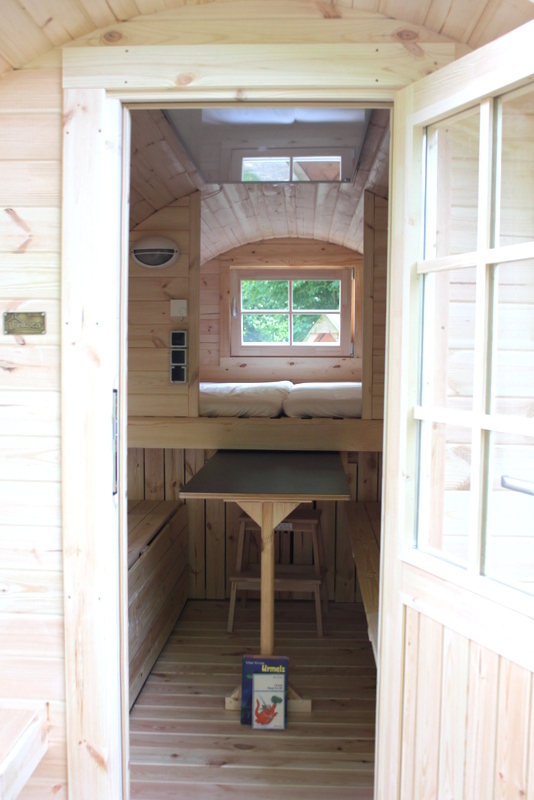 Equipped with a large bed with mattresses and two folding sitting/lying areas four people can sleep in here. 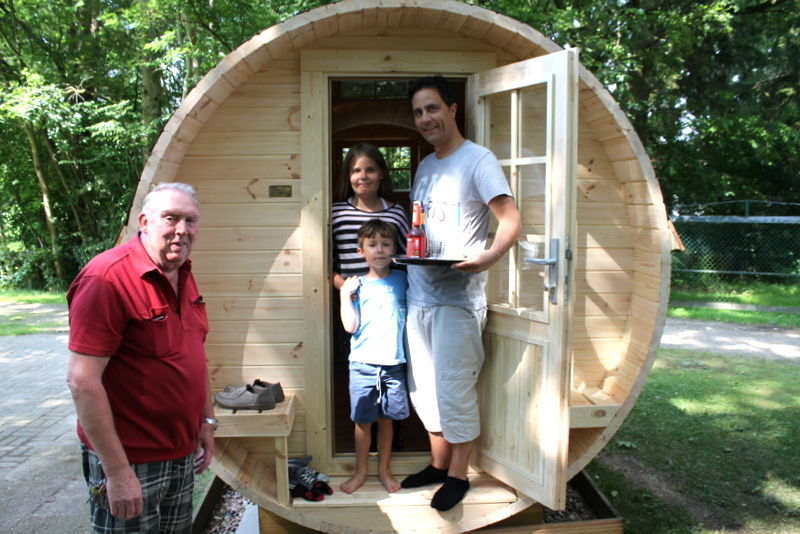 The slumber barrel, also called sleep barrel or camping barrel, is 4.30m long and has a diameter of 2.27m. The 2x2m large family bed, as well as two additional buildable child beds in 2,00x0,70m offer, depending on the size of the children, space for up to 4 people. The barrel is equipped with electricity and lighting. The comfort range also includes efficient infrared heating. The price includes the final cleaning and sheets for the mattresses. Comforters, pillows and/or sleeping bags are required. Alternatively, bedding can also be rented. In order to be able to offer the slumber barrel unreservedly to allergy-plagued guests, we point out that pets in the barrel can unfortunately not be admitted. Also smoking is prohibited. To keep the ecological concept of the campsite, the manufacturer of ecological construction has also committed to it. 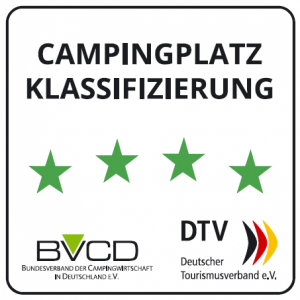 This is shown by the unrestricted recommendation of the barrels by ecocamping. nach der Eingabe der Daten werden Sie direkt zu unserem Buchungsdienstleister weitergeleitet.